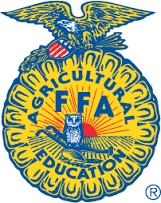 The WEM FFA is a student organization for the students enrolled in the Agriculture Education Classes. This is an intracurricular student organization. The WEM FFA has monthly meetings, mostly at night. The WEM FFA runs the football concession stand and sells fruit for fundraisers. The community service project is the Camp Courage Corn Drive. The WEM FFA competes in many career development events such as livestock judging to public speaking and agriculture mechanics.